International students’ experience in Australian higher education: can we do better? Australia has been very successful in recruiting international students. The Australian government regularly reports students’ high levels of satisfaction with their educational experiences; however, there is also evidence of some dissatisfaction with regard to social and educational experiences. 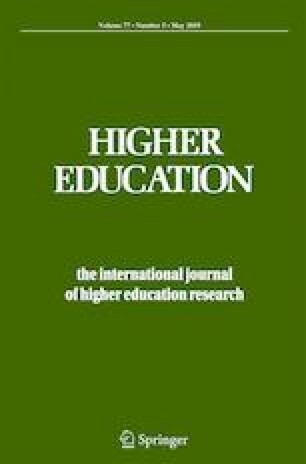 This paper explores the extent to which universities are meeting the social and educational needs of international students by analysing their experiences through the two dominate rationales in international education, namely neoliberal and cosmopolitan rationales. It discusses findings from a project examining the perceptions and experiences of international students at a large metropolitan Australian university. The study was conducted in two phases: an online questionnaire, followed by focus group interviews. The findings indicate that while international students might rate their overall satisfaction as high on questionnaires, deeper analysis through focus groups highlights the lack of social integration and belongingness that international students perceive. These results challenge universities to innovate their practices in order to develop and integrate cosmopolitan experiences that not only may benefit students but also assist in sustaining the neoliberal rationale of the sector. Australia Education International (2010). International Student Questionnaire 2010. Retrieved from https://internationaleducation.gov.au/research/Publications/Documents/2010_International_ Student_Report.pdf. Australia Education International (2013). International Student Questionnaire 2012. Retrieved from https://internationaleducation.gov.au/research/Publications/Documents/2012%20ISS%20Overview%20Report_PDF_Web%20version_FINAL.pdf. Australia Education International (2015). International Student Questionnaire 2014. Retrieved from https://internationaleducation.gov.au/research/research-papers/Documents/ISS%202014%20Report%20Final.pdf.